This Conference and its workshops are geared to those whose schools that have not yet begun a Farm to School Program or are in the early stages of its development, as well as farmers that are on the fence about the need for, and design of, their own Farm Food Safety Plans to allow making sales to institutions. 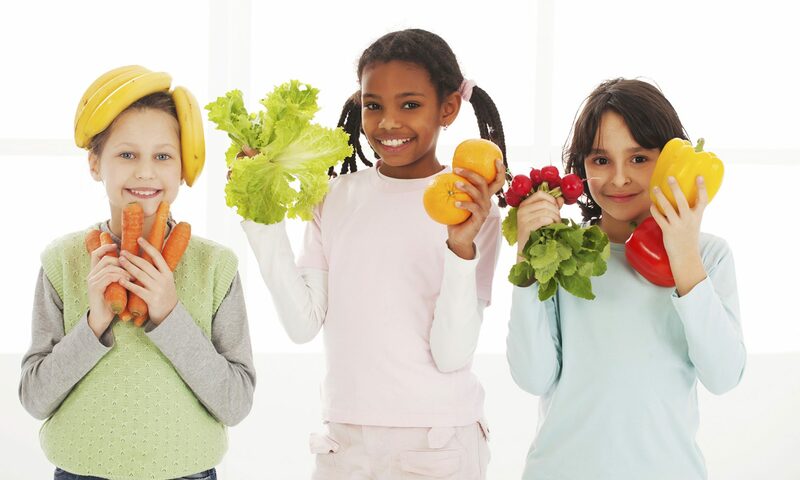 Nutrition, Health and Learning: An Important Package! Light refreshments with cash beer/wine/soda bar, exhibitor sponsored prize drawings. And, provide YOUR input into the regional “Harvest of the Month” schedule. Mark Bordeau, SNS :: Senior School Food Service Director for Broome Tioga BOCES (Endicott NY) and Vice President of the NYS School Nutrition Association. In his workshop segment, Mark’s intention will be to have attendees intently focus upon utilizing “Geographic Preferences” by all those who are in the position to place bids out for produce/specialty crops, or other local products, to meet school food services requirements. He will walk through the process in a manner that allows both school food services and farmers know what they can do… and what they can expect… using this relatively easy method of prioritizing local foods for procurement without farmers losing significant revenue. Additionally, being well versed in large school procurement contracts, he has one or two other tips to provide attendees to ensure success in procuring locally. Allissa Eiser, RD :: Is Food Service Director at Bethlehem Central School District in Albany County NY, and active member of the NY School Nutrition Association. Jason Evans, Ph.D :: His college and graduate studies always included economics, and ended with obtaining a Ph.D in Natural Resource Economics from West Virginia University. Coming to SUNY Cobleskill in 2009, he now wears several hats… Chair of the Department of Ag and Food Management, Coordinator of the Farm & Food Business Incubator, and as the Director of the Institute for Rural Vitality. While writing papers and grant applications in support of local foods systems, and enhancing the learning experience of SUNY Cobleskill Ag students, Jason still finds time to teach and mentor. His presentation is part of the opening plenary that allows attendees to consideration the larger picture of Farm to School, such as its economic impact. Within that context, Jason will investigate – with the audience as active participants – the effect that our decisions to buy local foods for our children has on the economic health of surrounding communities. Robert Hadid :: Joining us from Cornell Cooperative Extension and the Cornell Vegetable Program, Robert is a Regional Vegetable Specialist. Robert’s main mission in his co-presentation of the workshop on creating a Farm Food Safety Plan is to help prepare farmers for their next steps in remaining viable stewards of their land by making sales to institutions like schools. He will walk farmers thru the initial phases of the Farm Food Safety Plan development process. Farmers… bring your Food Safety Plan so you can cross check it with Robert’s info and continue to modify the remainder when you return home. No Food Safety Plan? Then this is vital information for you and a template will be made available so you can begin it. We will conduct a follow-up conference call in February to confer on the rest of your plan’s development. Rachel Harb :: Since 2016, Rachel has been the Farm to School Coordinator for the Chicopee Public Schools in Massachusetts and a Farm to School Consultant. In 2017, she also became the Training and Events Coordinator for Massachusetts Farm to School. Rachel’s interest in food and farming began to be demonstrated in her stint as a volunteer coordinator for a weeding crew of a community farm, and becoming the founder of the Burlington Farmer’s Market, both as of 2011. Spending a number of years with the very progressive UMass Auxiliary Enterprises/ Dining Services as Sustainability Director allow Rachel to communicate their healthy food initiatives and best practices to others. This, and other experiences including the study of permaculture, has helped her hone in on her more recent farm to school initiatives. Joanne Lennon, MBA :: Is the Food and Nutrition Service Director at the Chicopee Public Schools, in Massachusetts, serving in that capacity for the past 25 years. She earned her undergraduate degree in Nutrition Education at UMass in Amherst and a MBA thru American International College in Springfield. She has served as past president of the Massachusetts School Nutrition Association, received a USDA “Healthier US School Challenge” Award for all of her elementary schools, as well as two USDA “Best Practice” Awards for Nutrition Education, is a founding member of the MA Farm to School, and developed the Farm to School Program at her school, called ChicopeeFRESH, which has been awarded over $125,000 to date. And, by-the-way, Joanne oversees a $4 million budget and serves 10,000 meals per day. Rachel and Joanne are a team back in Chicopee MA, and they present as a team for us as well in order to lead school food service attendees thru the afternoon breakout session on “Adjusting Your Menu and Minding Your Budget”. Institutionalizing local specialty crop procurement, or any other local foods, begins with the menu. If it’s on the menu, you’re more likely to consider sourcing. But how does one juggle the costs (product? staff prep time? equipment?) associated with preparing food from scratch? Bring your own menus so that you can use the time which will be provided to immediately make adjustments in your menus and be ready to implement them when you get back home. Enrique Johnson :: A graduate of SUNY Albany with an undergraduate degree in English augmented with two minors, Psychology and Rhetoric & Communications, Enrique has applied his talents to a career that spans several New York State Departments including Labor, Health and the Office of People with Disabilities. Many of his positions included review, evaluation and interpretation of laws, financial information and regulations, analysis of legal precedents, statistical reporting, creation of new processes of review and analysis, development of new guidance documents and reporting structures that affect either thousands of citizens of NYS or millions of taxpayer dollars. As a supportive subcontractor to this conference, he brings to it extensive computing skills. As an accomplished analyst with a background in research methodology and communications, he is our go-to person for our promotional elements in the conference development, as well as for our evaluation instruments and reporting requirements. Erik-John Knocho-Schnellenberg :: Working out of the Orange County Office for Cornell Cooperative Extension in Middletown NY, Erik-John has been a long-standing member of the Eastern New York Commercial Horticulture Team, as Food Safety Educator Specialist. Erik-John co-presents the breakout workshop with Robert Hadid entitled, “Get Your Farm Food Safety Plans Ready for Sales to Institutions”. Together, Erik-John and Robert are ideal resources to clarify the misconceptions in the field including when a Food Safety Plan will suffice, and when it will not… and how having one can set the foundation for the future of your farm enterprise. Not ready for GAP’s Certification? A Food Safety Plan gets you a leg-up and only requires you to “do the right thing” when it comes to food handling on your farm. Again… you are requested to bring into the class your own Food Safety Plan if you already have one so you can make adjustments as needed as you come to better understand the intent of this plan and how to implement. Glenda Neff :: With a long history of advocacy for local food and farms, Glenda began in her native Wayne County NY with involving herself in starting a CSA (Community Supported Agriculture) Buying Club and becoming active in NOFA-NY and the NY Sustainable Ag Working Group. Today she leads FINYS (Farm to Institutions NYS) – a partnership of agriculture, economic development and public health interests – working to scale up local food economies by expanding the volume of food grown in New York that is served in institutions ( such as colleges, hospitals and schools.) FINYS was founded in 2013 by the American Farmland Trust which works to save the land that sustains us. Glenda will share the wisdom gathered in those years as food activist and policy-maker, both on the grand scale in the morning’s plenary session on what the local food movement means to the effort of keeping land that is ideally suited for agriculture from rapid development, as well as on a more intimate scale as panelist for “3 Keys to Success”, providing attendees with salient tips. Anne Rogan, RD, Ph.D, CDN :: Having earned her undergraduate degree in Human Nutrition, she obtained her Masters in Food Science, with both being awarded by the Ivy League’s Cornell University. Her dietetic internship was accomplished at the renowned Mayo Clinic in Rochester MN and her Ph.D in Administrative Systems came about from her studies in statistical process control at Union College in Schenectady NY. She is currently a professor in the Culinary Arts Department at SUNY Cobleskill, teaching a range of topics from nutrition to food purchasing. Anne is excited about her contributing presentation in the morning’s “Big Picture” plenary, connecting for attendees the role of nutrition and health to academic learning outcomes which is a growing science as well as looking at the interface with “processed and plastics”. Imagine that what we feed our kids may have a direct relationship to what kind of grades they achieve in school and their possibility of living long lives of high quality! Andra Spencer :: Member of the Farm to School Team of the NYS Department of Agriculture and Markets. Amanda Watson :: Member of the Farm to School Team of the NYS Department of Education. Regina Tillman, MS :: A graduate of the prestigious Combined Internship-Master’s Degree program in Human Nutrition at Cleveland’s Case Western Reserve University, Regina was a Registered Dietitian for the following 33 years. Employed by the US Department of Veterans Affairs for 27 of those years, she performed a full range of duties and positions including clinical, managerial and senior executive, with a foray from time to time into research, and becoming Food and Nutrition Services Department Program Manager. However, she never got too far from the impulse to showcase the talents and ideas around her, creating numerous professional development programs and promotional events during her career with the VA, including one held at West Point Military Academy. The initial portion of past 10 years found her associated with Cornell Cooperative Extension as a Nutrition Resource Educator and becoming the lead of several community interventions. 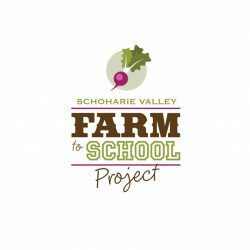 Farm to School won out, however, and she became devoted to the concept in spite of having to pursue it eventually in a volunteer status. In 2015, she applied for one of the initial six NYS Farm to School Grants, and this conference is a direct result of that grant award. Douglas C. MacLeod, Jr., Ph.D. :: Having earned his doctorate of Arts in Humanities at SUNY Albany, Doug has been teaching intercultural communication, script writing, visual media, cinema, mass media, and composition and literature courses at the SUNY Cobleskill Communications Department since 2013. An inter-disciplinarian, Dr. MacLeod stresses to his students the importance of both having a specialty and being well-rounded. Steven Snyder :: Student of the SUNY Cobleskill Department of Communications. Enrique Johnson :: See Enrique’s detailed information above. However, not only is he a financial and process analyst, he can also claim significant undergraduate course work in film studies, with previous involvement in both shooting and editing. His creative creds include direction of a stage production at the Albany Civic Theater.